In this guide, written by a former NYC art gallery owner, we tell you about hot art fairs that will soon be on collectors’ radar screens… get there before they do! 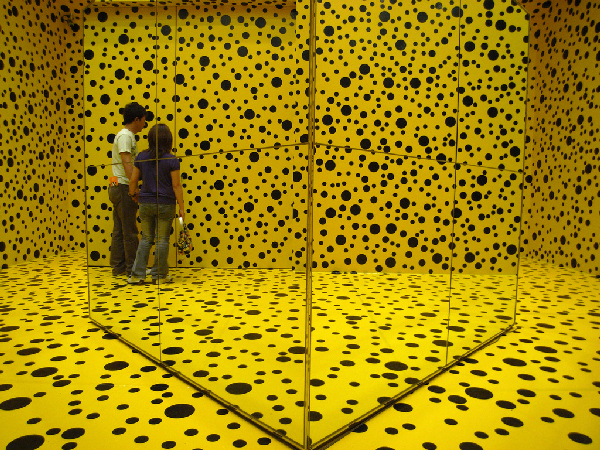 The Feria Mexico Arte Contemporaneo just celebrated its fifth year. 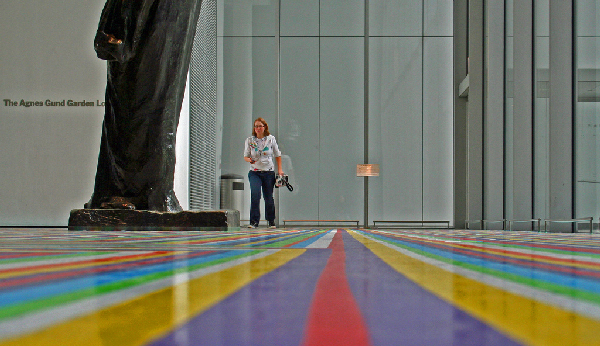 A walk through the 2008 event, held at the spacious Centro Banamex in Mexico City, confirmed that the Mexican art scene embraces a vision much larger than its admirable tradition of mural art, exemplified by Diego Rivera, David Alfaro Siqueiros, and Jose Clemente Orozco, and its propensity for self-inspection, a la Frida Kahlo. In fact, the FEMACO fair is notable precisely for the fact that its exhibitors include not only the most respected Mexican galleries and the artists they represent, but also a surprising number of European galleries, particularly from Scandinavian countries. FEMACO is truly an international art fair, and a visit to this fair can easily be extended into a longer vacation that immerses you in Mexico City’s rich tradition of artistic activity, as well as its bustling contemporary scene. Mexico City is my part-time home, so if you do visit next year’s FEMACO, be sure to check out my Green Guide to Mexico City and the Top 5 Ways to Experience Mexico City Like a Local. CIRCA has been incorrectly dubbed as the Caribbean’s first international art fair, which overlooks the fact that Havana has long sponsored a biennial that is respected around the world, but no matter: CIRCA is a highly respectable art fair entering its third year, and each year has been better than the one before. What makes the CIRCA Art Fair a must-visit on the international art fair circuit is the fact that both gallery owners and artists are accessible to new and established collectors alike. The fair gets bonus points because of its strategic location: a new convention center placed at the crossroads between historic Old San Juan and the popular nightlife and beach destination, Condado. Having called San Juan home for two and a half years, I know the area well. Check out my Green Guide to Puerto Rico and Top 10 Experiences in Puerto Rico Guide. While the Shanghai Art Fair might be bigger and more popular, ARTSingapore offers an interesting alternative in Asia for collectors and browsers. First, the fair is held in October, whereas many other international fairs are held in the late spring or early summer, so ARTSingapore is a welcome addition to the fall fair schedule. 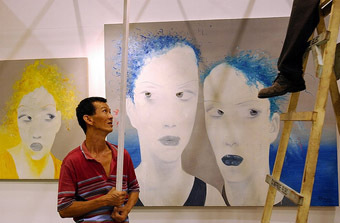 The other attractive aspect of the ARTSingapore fair is the diversity of its exhibitors. The 2008 exhibitor list includes at least 22 galleries from Korea, a country often excluded from other fairs, and additional participants from Israel, Australia, and Thailand, the Philippines, and Vietnam, countries which also tend to be overlooked on the international art fair circuit. Want some local news from Singapore? Contact Matador member Nora Dunn, whose current trip has her transiting through Malaysia, Singapore, and Thailand. If you’re not in the market to buy an artwork with an inflated price tag, this is the art fair for you. Held each June in New York City, the premise of the Affordable Art Fair is simple: attract a new generation of art collectors by introducing art work that can be bought within the limitations of almost any budget. Pieces range in price from $100 to $10,000, but don’t think that the low prices mean substandard art work. With more than 70 galleries representing artists from North and South America, Asia, and Europe, you’ll certainly find a selection of art that doesn’t just fit your budget, but also aligns with your tastes. While you’re in town, take advantage of your visit and see how many of The 10 Best Experiences in New York City. Period you can check off my list. 2008 was the inaugural year of this latest art fair in an already crowded international art fair schedule, but is poised to quickly become the “IT” destination for purchasing contemporary African art. The fair also promises to be interesting to watch for the political issues it raises regarding the way Africa is represented and represents itself before the world, as well as economic issues. Get insiders’ tips from our resident South Africa expert, Ethekwinigirl. But even if you can’t afford a single piece at the Art Dubai fair, you’ll surely enjoy taking in views of some of the most exciting and edgy art in the world, from the ironic “Desperately Seeking Paradise,” a curated exhibit of work from Pakistani artists, to the Bidoun Lounge, a site-specific installation serving both as bar and theatre for the exhibition of video works from Middle Eastern artists. Learn more about Dubai before you go from Matador member, Abha, who lived in Dubai and is our resident expert on the city. Another young art fair, the DAAF also promises to be a hot fair within the next few years. Held in Darwin City, Australia, the DAAF is smaller than most international art fairs in terms of the number of exhibitors it includes in its schedule, but it’s also much more intentional about who it includes and why: only artists, galleries, and community based arts centers who can verify the provenance of the art work as justly acquired from indigenous and Aboriginal peoples. Many artists are on hand to talk about their work. The diversity of the work itself is another reason to recommend this fair: in addition to paintings on canvas, collectors can acquire bark paintings, timber and metal sculptures, didjeridus, fiber arts, and jewelry. Get some travel tips from Australia experts and be sure to check out the blog of Matador’s Australian expat, croftyangel, who reports about life down under. It’s likely you won’t be able to purchase a piece at this fair unless your pockets are deep, but that’s part of the fun of this particular art fair. Attracting the growing nouveau riche class of art collectors from Russia and Asia, the Moscow FAF is as much about people-watching as it is about analyzing art. Beyond the social value of this art fair, it’s one of the few fairs that have such a broad scope of artistic genres and works from various periods, ranging from antiquity to the present. The location is interesting, too: poised between the Kremlin and Red Square, the Moscow FAF is pure fun. Matador member ZTP Teo has lived in Moscow; hit him up for some local recommendations. 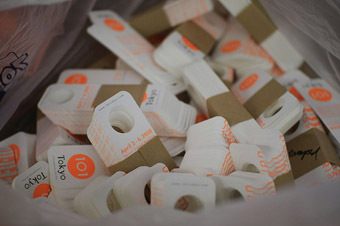 Photo by 101 Tokyo Contemporary Art Fair. Fresh from its wildly successful first year, the 101 Tokyo Art Fair has already outgrown its host space and will be expanding in 2009, including 60 national and international galleries. The list of first year exhibitors proves that the 101 Tokyo organizers are clearly able to collect an impressive range of galleries and genres under a single roof; the 2009 fair promises to be even more exciting. Contact Matador’s Tokyo expert, Masaya, if you plan to visit this fair. TAF nabs the number one spot on our list because its organizers clearly concern themselves with much more than just selling art; they organize the fair to stimulate conversation about art by introducing a series of special projects intended to engage both serious collectors and first-time browsers alike. The vast majority of exhibitors are Canadian galleries, suggesting that TIAF sticks with what it knows best: its own country’s art. Finally, like ARTSingapore, TIAF is held in October, a strategically smart move that minimizes competition. Check out Matador member Travelflare’s guide, 5 Reasons to Visit Toronto. Want to find local art fairs in the US? Check out ArtFairCalendar. 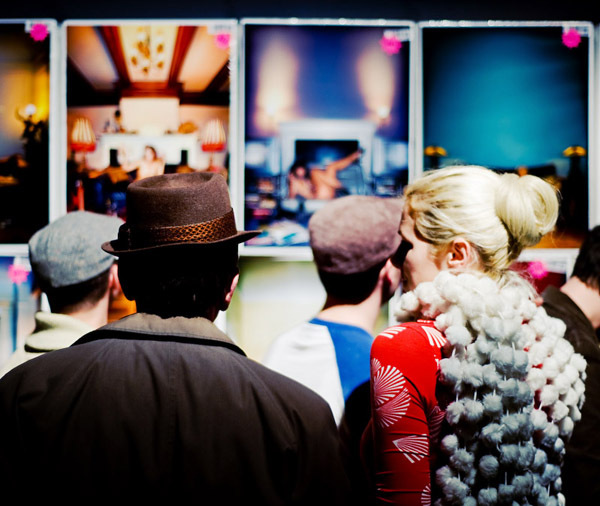 For a list of other arts fairs around the world, check out Art Fairs International.